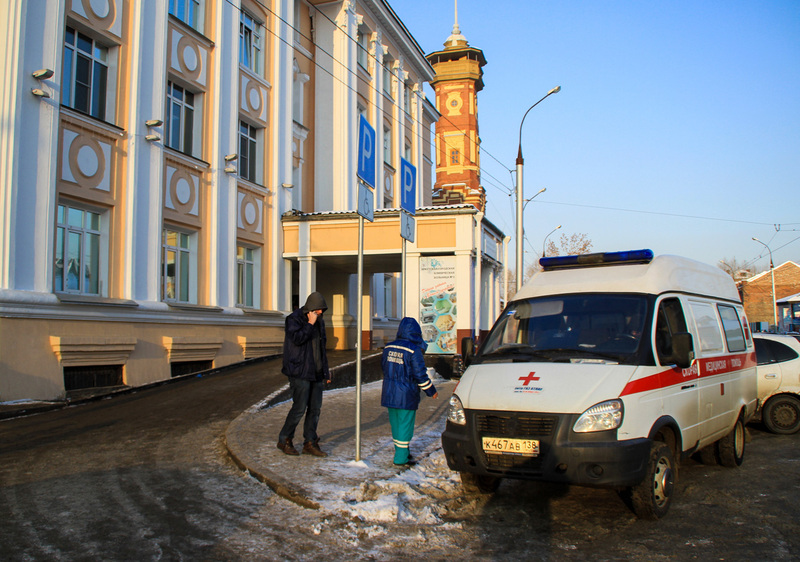 An ambulance outside Clinical Hospital No.3 in the city of Irkutsk, where 71 people have died of poisoning with alcohol-containing liquids. The number of people in the Siberian city of Irkutsk who have died after drinking a bath lotion containing methanol has risen to 71, the regional Health Ministry said on Dec. 22. "The number of those brought to the Forensic Medical Examination Bureau has risen to 31, 40 people have died in hospitals. The death toll has thus climbed to 71, while 36 people remain in hospitals," the ministry said. The local officials added that five of the 117 victims have been discharged from hospitals, and five others were taken to hospitals but refused medical assistance. Earlier reports said that over 60 people have died in the Irkutsk region on Dec. 17-Dec. 21 of poisoning with alcohol-containing liquids, including a bath lotion called Boyaryshnik (Hawthorn), while the number of registered cases has exceeded 100. A criminal case has been opened into the sale of goods failing to meet safety requirements and resulting in the death of two or more people. A total of 11 people have been detained as part of this criminal case. A ban on sales of all nonfood alcohol-containing products has been imposed in Irkutsk and in the region. The ban will stay in place as long as checks continue at local stores as to whether they have on sale the lethal bath lotion called Boyaryshnik and similar products.